This year’s class of NFL hopefuls has provided intense speculation. The most anticipated position battle thus far has been Marcus Mariota vs James Winston. Many thought the Rose Bowl earlier this year cemented Mariota as the top quarterback in this year’s class. After the season ended and draft speculation heated up, the question as to who would be taken first became more and more complicated. For Mariota, he has nothing to lose at this point. He has already won the Heisman, taken his team to the College Football Playoff National Championship Game, and has been declared the greatest player in Oregon Football history. All the awards and accolades still have him coming in as the No. 2 quarterback. All Mariota needs to focus on is performing to the best of his ability. If Winston does get taken in front of him, it adds more fuel to the fire. 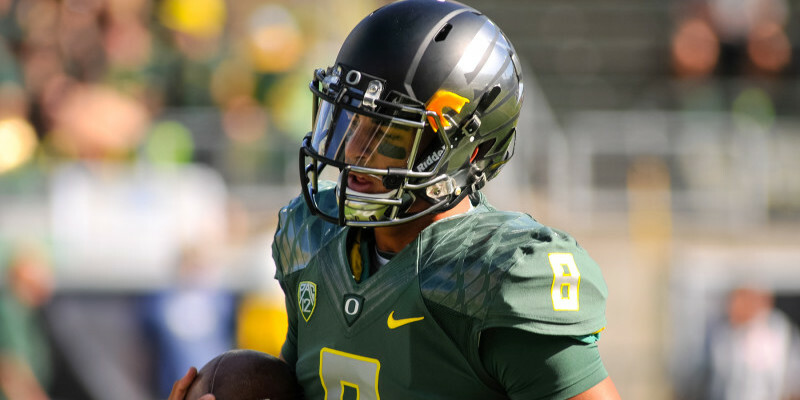 It has been said that Mariota is the most coachable player in college football. For someone of his caliber to have natural skill, intelligence on and off the field, and patience to listen to his entire coaching staff, he makes for a perfect fit to any pro team. With the combine nearly over, we must now look to each respective school’s pro-day. Oregon will host its pro-day on March 14, while Florida State will host its own pro-day on March 31. This will provide coaches and scouts with the last look into Mariota and Winston before the NFL Draft starts on April 30. Stay tuned to FishDuck.com for all the latest in Oregon Ducks news.